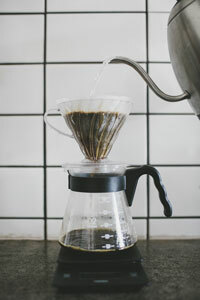 Whether you love it, hate it, or are just old fashioned chemically dependent, there’s no escaping coffee. 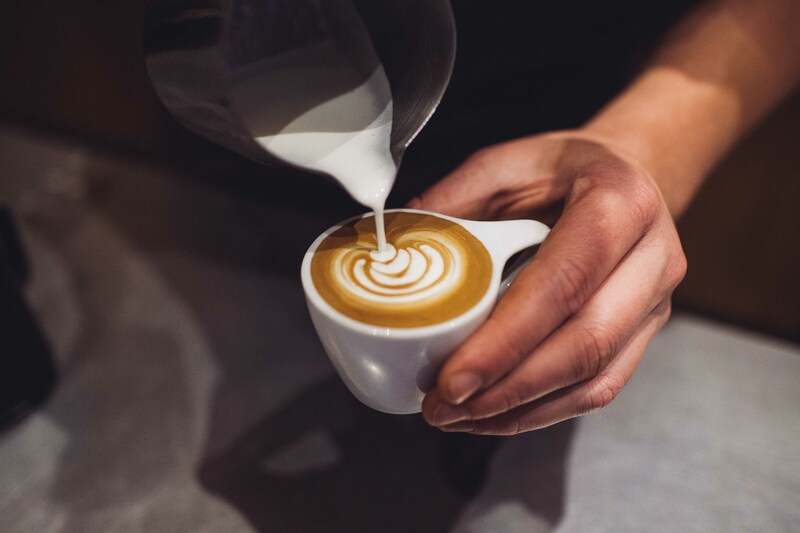 Australia is home to a fanatical cafe culture, with the humble coffee bean at the heart of our obsession. 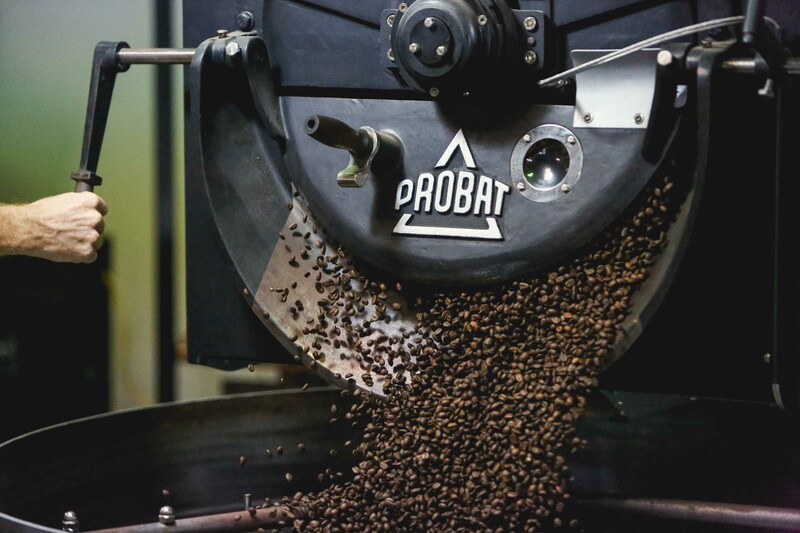 Saxon Wright's coffee roasting started as an experimental gift among family in 2004 and has now grown into a fully-fledged fast growing business, Pablo & Rusty's. We spoke to COO, Abdullah Ramay to get the lowdown on this unique success story. He shares how they scaled, what they learned and what they’re trying next. I understand P&R’s founder, Saxon made his foray into coffee via chemistry. How does that influence your processes? Saxon has always been a curious soul and an avid learner and innovator. 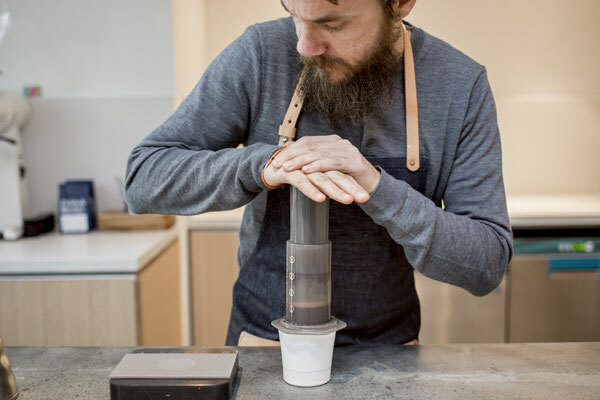 At first, his interest in chemistry and science led him to understand and fine tune many aspects of coffee roasting and brewing. That pursuit of knowledge and scientific methods drives everything we do. We’re always looking to understand things, using data to measure, evaluate and make small changes to learn their effects on the end product. This helps us to continuously improve, challenge the status quo and also look at ourselves with an objective lens. P&R has grown substantially. How did you manage to scale? And what have been the key lessons along the way? We’re now just becoming a medium sized organisation. Growth has been exciting as well as challenging and we don’t see it slowing anytime soon. Our strategic anchors are Design, Digital and Sustainability. These guide us in our growth to ensure that we have a design-oriented approach to growth, use technology to leverage our resources and make a positive impact on people and the planet. One of the key reasons we can sustain growth is due to the great people in our team. We’ve focused a lot in the last 18 months on articulating who we are, our values, our culture and why we exist in the first place. When the team was three to six people, everyone picks up these unsaid yet important things. However, as the team grows, leaders must articulate all of these. This allows us to hire great people, integrate them into the team and ensure that we’re all here for similar reasons and moving in the same direction. What advice would you give to anyone trying to get their foot in the door of the retail / wholesale sector? Vision, Value, Tech and Focus. First, have a clear idea of what you’re trying to do. This may change a few times before you find the right thing – but always have a vision of where you want to go so you can take the right actions to get there. Secondly, what value are you offering customers? This will allow you to find the right customers, communicate your value to them and not neglect that value as you grow. Next, use technology to do things better, at lesser cost while delivering more value to your customers. In the future there will be two types of companies – those who use technology well and those that no longer exist. Last but not least: Focus. There are a lot of important things that must get done. Your time and resources are limited. Make sure you know what is important and prioritise it. Don’t let low priority tasks stop you from achieving your potential. Your vision and the value you offer will always help you do this. Recently, Bill Gates and Warren Buffet were asked the reason for their success. Without hesitation, they both said “Focus”. In fact, I have a poster in my office with the word ‘focus’ on it, to remind me of this every day. How do you balance commercial viability with sustainability / environmental objectives? The choice between commercial viability and sustainability is not mutually exclusive. Rather, we believe that all companies must do both. In the future, companies that take sustainability seriously will be more commercially viable. Saxon always had an unwavering commitment to being ethical and sustainable. The early team members all share this commitment and we’re trying to do the best we can. We’re not satisfied yet and want to keep going. We’ve recently been provisionally B-Corp certified which should get finalised in a few weeks. B-Corp certification has a holistic view of sustainability where all stakeholders of an organisation are looked at and it ensures that companies continue to get better. Being green is great but it’s not enough. We’re grateful that our hard work over many years in this area is getting recognition and we’d like to see the industry and the planet continue to be more sustainable. Describe your involvement with Sendle. Sendle is a great partner for our shipping. We really like the ability to deal with one company rather than multiple couriers. The email support works well with us as a digital company. We see Sendle as a very important partner in order for us to deliver great experiences and products to our customers. We’re very excited about the future improvements and features that Sendle has planned. What's next in terms of planning for P&R? We exist to positively impact people and the planet through coffee. The bigger we are, the more meaningful and significant that impact can be. Last year we opened the first cashless café in Brisbane. We’ve also been the first adopter of new technologies and equipment which has started new trends in our industry. We continue to improve our current product range and develop new products. For us, sky is the limit at this stage. Everyone will hopefully be seeing a lot more of us. Thanks to Abdullah and the Pablo & Rusty’s team. We hope you’ve learned, been inspired and are as challenged as we are by how we can all bring more vision, value, tech and focus to our businesses. To learn more about the business of the beans, check out Pablo and Rusty's.